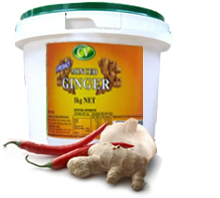 Wholesale Fresh Minced Garlic & More! 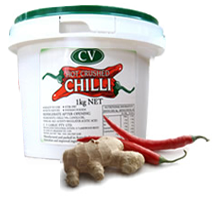 CV Garlic is a vegetable processing company specialising in the supply of crushed garlic, ginger and chilli. We also provide a range of fresh packed processed vegetables to suit the varying needs of our customers. From its humble beginnings established in 1984 we have remained a family owned and run business by directors Con and Voula Geros. Since then, CV Garlic has become a leader in the supply of garlic products to the wholesale and manufacturing industry of Australia. Our purpose built facility located in Braeside, utilises the best hygiene practices in order to ensure we are HACCP accredited. Our dedication to positive hygiene practices ensures we produce quality processed products to our customers. 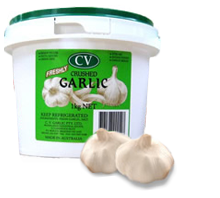 Contact us on (03) 9587-7966 to find out how we can supply your restaurant, café or home with quality garlic supplies.